Halifax, NS – Symphony Nova Scotia partners with Upstream Music for two concerts exploring current, emerging, and cross-genre symphonic music on Thursday, January 7 and Saturday, January 9, both at 7:30 pm at the Dalhousie Arts Centre’s Sir James Dunn Theatre in Halifax. Both concerts are part of Upstream Music’s Open Waters Festival, running from January 7 to 10. Featuring more than a dozen concerts and events, the Festival showcases classical and jazz contemporary composers and performers from across Atlantic Canada and beyond. Symphony Nova Scotia’s January 7 performance will be conducted by acclaimed Canadian composer and conductor Gary Kulesha, whose music has been commissioned, performed, and recorded by musicians and ensembles all over the world. He has served as Composer in Residence with the Kitchener-Waterloo Symphony and the Canadian Opera Company, and he is currently Composer Advisor to the Toronto Symphony Orchestra. Anton Webern (Austria): Concerto for Nine Instruments, op. 24 (1934) – This symmetrical, crystalline work is written in the twelve-tone technique for nine instruments: flute, oboe, clarinet, horn, trumpet, trombone, violin, viola, and piano. Boris Tchaikovsky (Russia): Four Preludes for Chamber Orchestra (1984) – Boris Tchaikovsky (no relation to Pyotr Ilyitch) was a prominent Soviet orchestral and film composer, and his melodic Four Preludes were inspired by the famous Russian lyric poet, Joseph Brodsky. Norman Symonds (Canada): The Nameless Hour, for solo cello and orchestra (1966) – Canadian composer Norman Symonds wrote this jazz-inspired work in 1966. Its solo part can be performed by a variety of instruments, and is entirely improvised. This performance will feature the cello in the solo part, performed by Symphony Nova Scotia cellist and suddenlyLISTEN Artistic Director Norman Adams. Kelly-Marie Murphy (Canada): Blues and the Principles of Excitation (2013) – To create this string octet, Canadian composer Kelly-Marie Murphy was inspired by the physics principle of excitation, or applying energy to move something to a higher state. “In this piece, we are talking about notes and chords, accents and rhythms which influence one another to produce a heightened state of excitation in the music,” she says. Andrew Staniland (Canada): Big Bang! 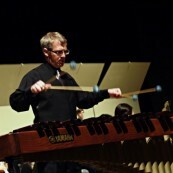 Concerto for Percussion and Orchestra (2008) – Canadian composer Andrew Staniland’s work has been praised as “artistically adventurous and intellectually provocative” (Toronto Star). This explosive and energetic percussion concerto was inspired by the cosmic Big Bang, and features Halifax’s own D’Arcy Gray as soloist. For the orchestra’s second Open Waters performance, on Saturday, January 9, Gary Kulesha re-joins the orchestra along with the Upstream Octet to celebrate Halifax composer Paul Cram, performing his work The Point of Sympathy. The concert also features the 21-piece Upstream Orchestra and conductor Jeff Reilly, performing the world premiere of Reilly’s new composition, The Engines of Time. For more details about both concerts and the entire Open Waters Festival, visit www.upstreammusic.org. Tickets for the January 7 performance are $30 ($16 for under-30s), and tickets for the January 9 performance are $25 ($20 for students/seniors). A Festival Pass with admission to all concerts is available for $60 ($55 for students/seniors). Tickets are available through the Dalhousie Arts Centre Box Office (6101 University Avenue) at 902.494.3820 or www.artscentre.dal.ca. Gary Kulesha is one of Canada’s most active and most respected musicians. Although principally a composer, he is active as both a conductor and a pianist, and as a teacher. Kulesha’s music has been commissioned, performed, and recorded by musicians and ensembles all over the world. In 1988, he was appointed Composer in Residence with the Kitchener-Waterloo Symphony Orchestra, a position he held until 1992. In 1993, he was appointed Composer in Residence with the Canadian Opera Company, a position he held until 1995. In 1995, he was appointed to his current role as Composer Advisor to the Toronto Symphony Orchestra, where his duties include composing, conducting, and advising on repertoire. In 2002, he was one of three composers awarded the first National Arts Centre Orchestra Composer Award. This began an extended relationship with the orchestra. He has toured twice with the orchestra, and has written several works for them. An active supporter of young composers and performers, Kulesha was the Artistic Director of the Composers’ Orchestra from 1987, stepping down in 2004 in favour of three young composers. His conducting activities are extensive, and he has premiered literally hundreds of works. He has guest conducted frequently with several major orchestras throughout Canada, and has recorded for radio and CD. Although he is well-known as a specialist in 20th-century music, his repertoire is extensive, ranging from little-known Baroque music through to the music of our time. Kulesha was one of the chief architects of the Massey Hall New Music Festival, which ran for seven years from 1995-2002. He is currently assisting Toronto Symphony Music Director Peter Oundjian with the design and programming of the Toronto Symphony’s New Creations Festival, the most successful new music festival in the history of Canadian music, currently in its 11th season. Kulesha is on the full time faculty of the Faculty of Music at the University of Toronto. 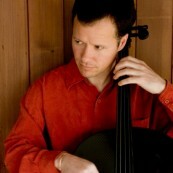 Norman Adams is Principal Cellist of Symphony Nova Scotia, and the Artistic Director of suddenlyLISTEN Music. A student of Hans Jørgen Jensen, Bernard Greenhouse, and American new music pioneer Pauline Oliveros, Norman has been a soloist with Symphony Nova Scotia and Les Jeunes Virtuoses de Montréal. He has been guest principal cellist of the National Arts Centre Orchestra, and has performed chamber and improvised music throughout Canada, the U.S., France, and the U.K. His performances have also been heard across the Canada and Australia on CBC and ABC. As an educator, Norman has been a faculty member at Acadia University, Scotia Festival of Music, String Fest at Memorial University of Newfoundland, and the Acadia Summer Strings Festival. In addition to his work as a classical cellist, Norman is well known as an improviser and electronic musician, playing free and creative music across North America and Europe. Norman has collaborated with many leading artists including Joëlle Léandre, Gerry Hemingway, Eddie Prévost, Pauline Oliveros, Buck 65, Jerry Granelli, Marilyn Crispell, and Evan Parker. Since 2000 Norman has been the Artistic Director and Producer of suddenlyLISTEN Music, an organization that both presents an annual series of concerts of improvised music, featuring a broad range of local, Canadian, and international artists, and produces a wide range of other performance projects and public workshops. Norman is dedicated to the arts community, and serves on the national board of the Canadian New Music Network, as well as on the boards of the Canadian Circuit, the Lieutenant-Governor of Nova Scotia’s Masterworks Award, and Strategic Arts Management. He is a former board member of Symphony Nova Scotia, and has served on juries for the Canada Council for the Arts and various Nova Scotian arts funding bodies and organizations. In 2010 Norman was awarded an Established Artist Award by the Nova Scotia Arts and Culture Partnership Council for his varied work. Norman makes his home in Halifax with Symphony Nova Scotia Principal Violist Susan Sayle, and their two teenaged sons. Together, they spend their summers living and working at the Charlottetown Festival on Prince Edward Island. Norman’s passion for music is equaled by his love for riding and racing bicycles, and if he’s not playing the cello or organizing a show, he’s probably out cycling on the roads and trails of the Island or Nova Scotia. Visit suddenlyLISTEN at www.suddenlylisten.com and Norman’s website at www.normanadams.ca. Canadian percussionist D’Arcy Philip Gray exploits his versatility to find himself in a great variety of performing situations. 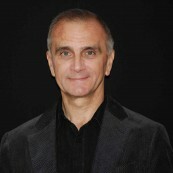 As a soloist, he has performed from Columbus, Georgia (U.S.) to Thunder Bay, Ontario; Montreal, Québec to Belo Horizonte (Brazil); Banff, Alberta to Tilburg (The Netherlands). His concerto appearances include performances with the Thunder Bay Symphony Orchestra, Atlantic Symphonia, the National Youth Band of Canada, and others. In the summer of 2008, he recorded a CD of John Cage’s solo percussion music for Mode Records (New York). In the past ten years, Gray has premiered well over 100 new works, mostly solo or chamber music by Canadian composers. He has also been very active as an improviser, working extensively with suddenlyLISTEN and Upstream, and has given dozens of clinics on three continents on a variety of subjects. Gray has taught percussion and music technology courses at McGill University, been a member of the Merce Cunningham Dance Company in New York, given recitals in Canada, the U.S., Europe, and South America, and performed with numerous orchestras (including the Montreal Symphony, Symphony Nova Scotia, and the National Arts Centre Orchestra). He has presented at the conferences of the Percussive Arts Society, the Audio Engineering Society, and the “Creative and Scientific Legacies of Iannis Xenakis” at Guelph University. He has written a number of articles for Musicworks Magazine as well as for Halana and the Leonardo Music Journal. As of summer 2008, Gray made Halifax, Nova Scotia his new home after 23 years in Montreal. He has been appointed Percussion Instructor at Dalhousie University. Gray is a graduate of the Juilliard School and McGill University. He has received grants from the Canada Council for the Arts, the Conseil des arts et des lettres du Québec, and the Getty Research Institute for the Arts and Humanities. Gray is a clinician for Yamaha Canada and Sabian. In his spare time he is a dedicated member of the Canadian Ski Patrol, an avid sailor, and a certified SCUBA diver.